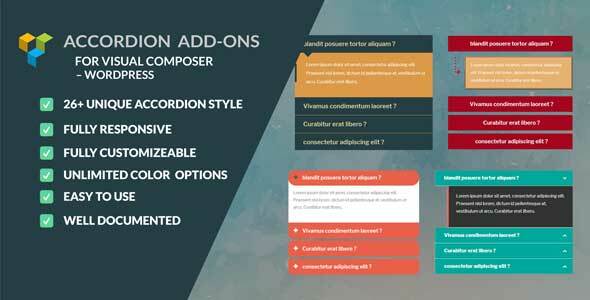 Accordion is a modern visual composer add-on. It’s have 26+ styles with huge option. You can use this Content box on your website easily. • 26+ Unique Styles * More Style Coming Soon! A big thanks to following source. Content box add-on wouldn’t be possible without these source.